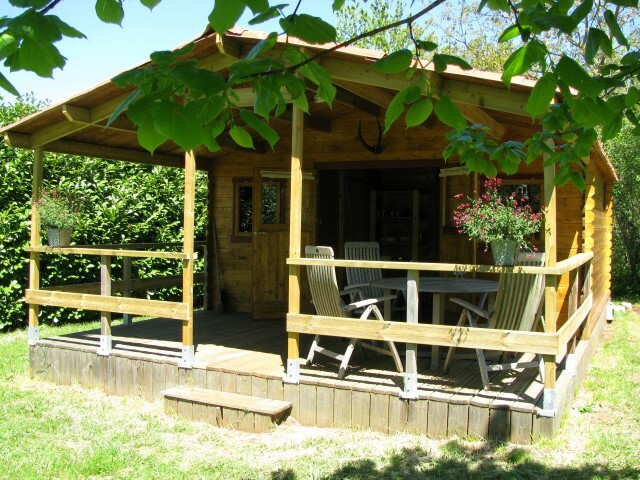 Our Chalet “Le Puech” is situated in a nice quiet corner of our campsite and can accommodate four people. 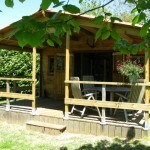 Le Chalet is completely furnished and is situated on a raised wooden floor. 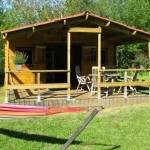 In one of the two bedrooms you will find a double bed. 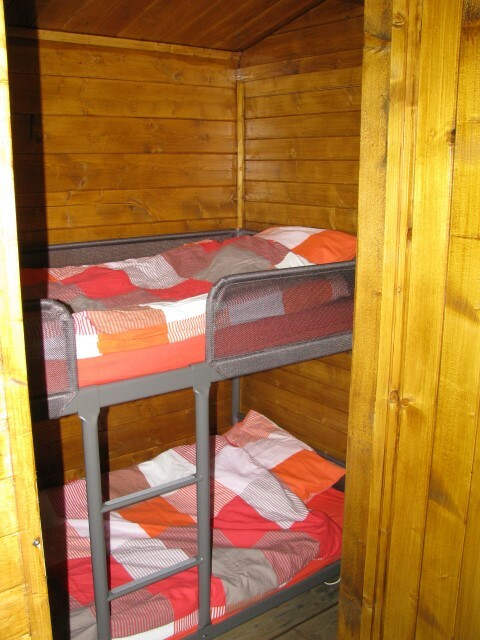 The other one consists of a bunk bed. 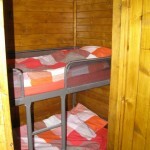 On arrival, the beds are made. 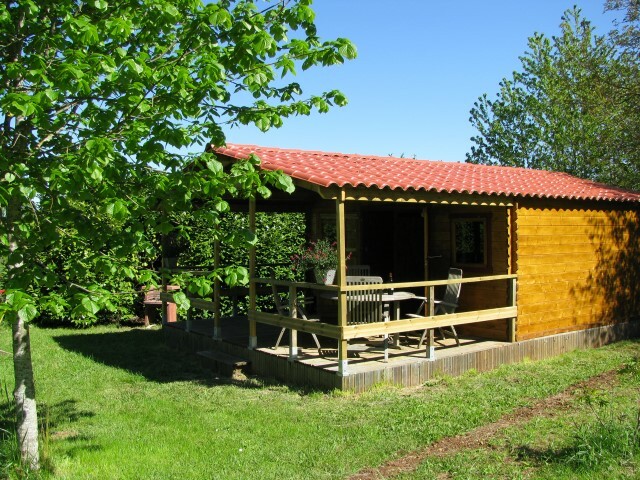 Our chalet has its own sanitary facilities (shower, toilet and sink). In the living room you will find several cabinets to store your belongings. 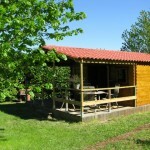 There is a fully equipped kitchen with a refrigerator, four-burner stove and a dining area. 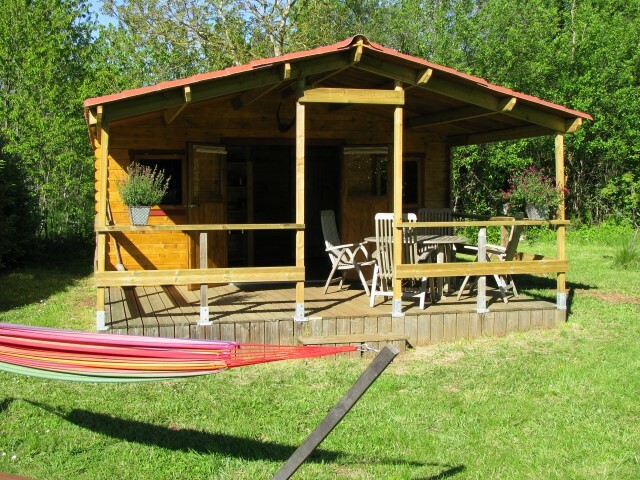 Outside on the covered terrace you will find comfortable patio furniture, a hammock and a barbecue.